A dental sealant is a thin plastic used to cover cracks (fissures) that naturally occur in chewing surfaces of molar teeth. The idea is to protect teeth from decay, since cavities almost always start in these grooves. Sealants were developed in the 1960s and by 1970 they were “grandfathered” into use by the FDA. The idea is that when tooth grooves are blocked, bacteria in them will be cut off from dietary sugars and be unable to cause decay. The first molars erupt into a child’s mouth about 6 years old, and the second molars about age 12. Sealants are usually applied as soon as teeth erupt, before they have a chance to decay. Applying a sealant is quick and easy, and it sounds like a good idea. There are, however, problems with sealants, the most important being that they do not deal with the disease that causes cavities. Cavity bacteria remain in the mouth, and continue to attack teeth. If biting-surface grooves are sealed, the next most vulnerable place for a cavity will be the contact point between two teeth, especially as newly erupted teeth begin to line up and touch each other. It is not unusual for multiple “surprise” cavities to form on the sides of young teenage teeth that have sealants. Biting surfaces may be “protected” by sealants, but if cavity disease is not eliminated, it will continue – and cause damage to other parts of a tooth. This is why sealants can never be viewed a solution to cavities. A 2012 study in Pediatrics (1) found that sealant materials and tooth-colored dental fillings could have a negative effect on children’s behavior. Many fillings and sealants contain BisPhenol A (BPA) an ingredient that can leach out into the body. Most dentists assume tiny amounts are harmless, but European studies have warned us that we should be concerned. BPA is found in other plastic products including water bottles and as a lining in canned goods. In 2011, a study tied prenatal exposure to BPA with hyperactivity and anxiety in babies, especially girls. In July of this year, the FDA banned the use of BPA in baby bottles and children’s drinking cups (see this NY Times Article for more information on the BPA ban). The effect of BPA in dental sealants is not clear, but this recent study looked at 500 children (ages 6 to 10) who had cavities filled with either silver-amalgam or tooth-colored fillings (containing BPA). 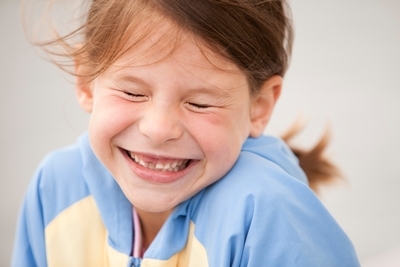 (It is important to note that children ages 6-10 have new adult molars and a few front permanent teeth. Baby molars begin to fall out during these years.) Five years from the start of the study, the children’s parents answered questions about anxiety and depression, attitude at school, and overall behavior. The researchers found that the children with multiple BPA fillings had more behavioral problems than those who had no BPA fillings. The worst results were in children with fillings on the biting surfaces of their teeth, which supports the idea that BPA in fillings and sealants can break down and leach chemicals. It can be argued that the researchers did not specifically measure absorbed BPA, and it is possible that other chemistry could be involved. Because of this, the study does not prove anything conclusively. It does suggest, however, that we should work to prevent cavities and avoid sealants whenever possible. At Zellies we agree, and suggest the regular use of Zellies 100% Xylitol Mints and Gum – since there are many studies that show the regular use of xylitol can be as effective as a sealant in preventing a cavity (2). ‹ Say Goodbye to Bad Breath!